Hi there! Kirra Sue here. 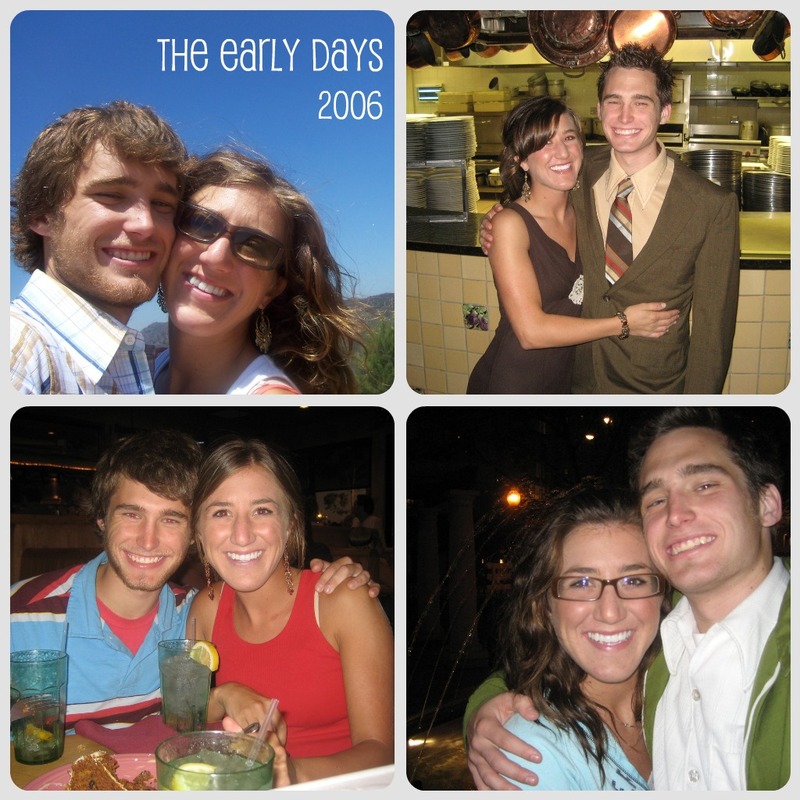 Our story starts 6 years before we actually met. I was born in a nice shiny suburb of L.A. & he was born in Phoenix. When he was 12 his family moved from Phoenix to the suburb I lived in. We went to the same Jr. High & High School together & graduated the same year. Our parents lived 5-7 minutes away from one another. We probably ate at the same Denny's on Friday nights. We probably grocery shopped with our mom's at the same Von's. We probably drove on the same street even at the same time perhaps. And yet we never met. Not once. We never spoke at the rallies. We never had a class together. We never crossed paths at football games. We never ate the crappy nachos together. I didn't know who he was, and he didn't know who I was. 6 years of dealing with the same teenage angst in the same spot, and we never met. Yes, it was a fairly large high school. Yes, our graduating class was 600+ people. But still. Kinda crazy to me. It can be partly explained in the fact that we really were worlds apart even though we were geographically close. He was in choir & hung with the smart kids, I played soccer & hung with the football team. He was an honor student, and I am pretty sure I ditched so many classes I cannot even count them on both hands. He was a strong believer in Christ, I did not know the Lord at all. So there was good reason we didn't mix. It was high school after all. Click city. So we graduated from Canyon High School in 2003 going our separate ways, not even knowing that either one of us existed. Somewhere in my freshman year at community college the Lord saved me. He radically changed my entire life with His love & forgiveness. Everything changed. Everything was new. I was new. And yet I was still in the same old town. Being reminded of the extremely wayward & rebellious person that I once was. I attended the community college in our hometown for 2 and half years and God flipped everything inside out for me. They were seriously some of the best years of my life even though they were some of the hardest. I had to make drastic changes in my life & learn for the very first time what it meant to have a relationship with Jesus. I decided that I wanted to go to a Christian college. I wanted to study the Bible. I was so excited, I literally could not get enough of learning more about my Savior. So I applied to a Christian college in our hometown, The Master's College, and another Christian school in San Diego, and then finally, Moody Bible Institute in Chicago. That last one was the one that I really, really wanted to go to. I had heard about it from the woman who actually led me to the Lord and I couldn't get it out of my head. I wanted to go to Moody. Since it's tuition free, the demand to get in is high. I knew there was a good chance I wouldn't get in. I heard back from the first two colleges & finally found out that I had been accepted to go to Moody in the spring of '06. Meanwhile Taylor had started attending the The Master's College (which is in our hometown) on a scholarship & was enjoying his first semester there right out of high school. He had applied to Moody as well but hadn't heard back from them so he decided to start Master's. He too though, really wanted to be at Moody. He found out in the middle of his first semester at Master's that he was accepted to go to Moody for the spring semester of '04. He took a big chance & went for it. So let's go to December of '05. I had received my acceptance letter on December 5th and people at church were starting to ask me,"So...do you know anyone in Chicago?! You're just gonna...move there?!!!" I was so stoked. I needed to get out. The Lord knew it too. A mutual friend of ours put some dots together for us. She saw me at church one night and was like, "I heard you got into Moody! There is a guy you went to Canyon with, named Taylor, and he goes there! You actually would probably really hit it off with him!" We talked a little bit more about him and she said, "He is the nicest guy ever. Seriously. You guys are probably going to get married." I just laughed. She clearly had no idea who she was talking to. I wanted nothing to do with boys at the time. Nothing. They had proved to be nothing but trouble in my life so I was good to go with just studying the Bible and becoming a missionary to Mexico. That was my plan. Holler for single missionary girls. That was my track and I was on it full speed. That night I went home and looked Taylor up in my year books. He seemed....nice. But I didn't think I was in any kind of love danger. His senior picture is a tragic one, folks. I wish I had it here to show you. Let me just say- it looks nothing like him. It looks like he had a Beatles haircut gone bad. So there I was, feeling completely off the hook- because I wasn't about to meet some nice and hot Christian guy. Our mutual friend also told Taylor while he was home on Christmas break that December that I was going to be coming to Moody too. He looked me up. He says he recognized me and thought to himself that he didn't know I was a Christian but thought it was cool I was coming to Moody. (I was trouble, folks, it's true). So January of '06. I move 2,000 miles away from In-N-Out, warm sandy beaches, the 405 & everything I've ever known my entire 20 years of life. Taylor is waiting in the windy city to meet some chick he went to high school with that was a total hot mess. I was nervous to meet him. From what all the mutual friends we had were telling me, he was the nicest guy on earth. That is what everyone said about him. I get onto my new floor at Moody. I am told almost immediately that there is a guy on my brother floor that is from California. Taylor. I am confused though. What the heck is a brother floor? Each girl floor gets paired up with a boy floor at Moody for a whole year, so that peeps can get to know one another & so the dudes can take care of their sister's if they work late at night in the city or something. It's cute that they do that. And apparently out of all the bro-sis combos, the floor I was on, was paired with Taylor's floor. So it was inevitable I thought. We were going to see one another. We meet in the plaza at school for the first bro/sis of the semester. We're going out for deep dish pizza. It's January 6th, 2006. My heart is beating like crazy. I so want a new beginning. I'm not that girl anymore. I'm nervous he's going to put me in a box. I'm nervous about why I'm nervous. And then I see him. He's standing there in a black peacoat jacket, with jeans, and his rainbow flip flops on. It's freezing outside. And there he was. In his rainbows. I say hi to him and feel like everyone is watching us because they know we're from the same home-town. I give him a hug, because I am SO awkward like that, and hugging people is something I do far too often. He has a cute smile. A nice smile. My heart beats faster. How is it possible that I can like him that fast? What happened to my commitment to single missionary ladies?!!! It's the piece of home that he is. It's his tousled hair & the fact that I knew the moment I met him that he really was as nice as everyone made him seem. We go to coffee 2 days later at Starbucks on Rush St. We talk for hours. I tell him my story of coming to Christ. He listens and is so excited. He is kind. He is cute. He is passionate about Christ. I am a goner. We fall hard. Both of us. By March 31st I am his girlfriend. By November 17th I am his fiance. By June 3rd I am his wife. We've been together almost 5 years now. He is the sweetest guy I have ever known. He is the man that took me in his arms when I told him everything about my past & sang to me, "How Deep the Father's Love for Us." He is the man that has pursed me with love & grace from the first day I met him. And he is still the boy in the rainbow flip flops that has completely stolen my heart. This is just perfect. I can't get enough of these love stories and this one was absolutely adorable. 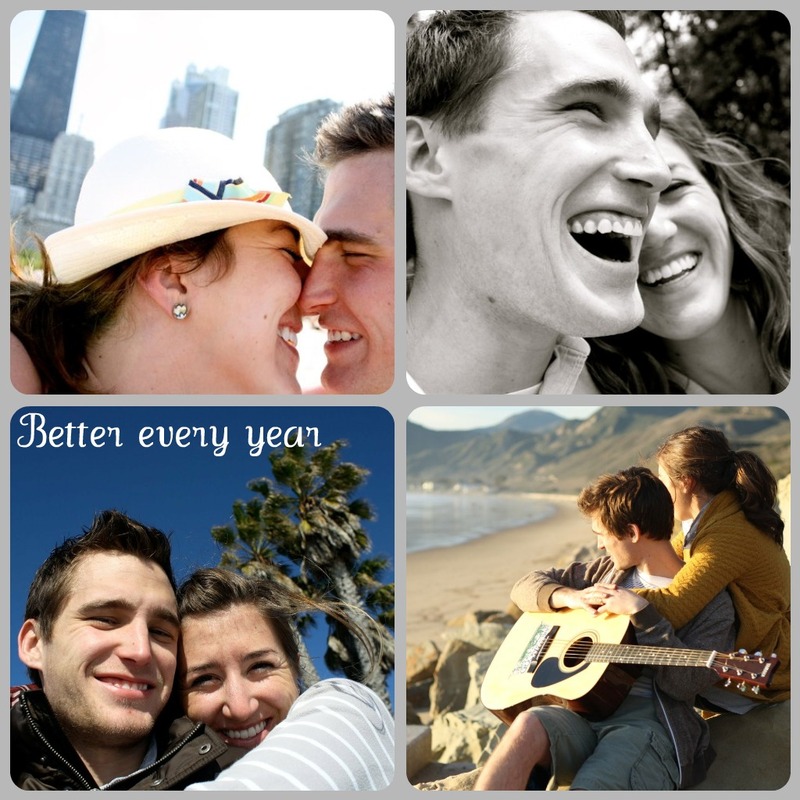 What a cute couple, and what an amazing God we have! I love this story! I just love how God orchestrated everything so perfectly to bring you two together at the right time. Awww, these stories are the best way to start my day. Coffee and a love story:) ANother one that brought tears to my eyes. LOVE IT! i looooove this story. kirra's a dear friend of mine so i've heard it before, but it never gets old to me. it's such a picture of god's redemption and grace and it's such a privilege watching their sweet marriage grow! love these precious stories!!! This story is so cute it melts my heart. I went to school with Kirra and was a friend of hers and I just love the fact that they didn't know each other in HS and are now madly in love! Love it! You are too cute Kirra! Not gonna lie I teared up! 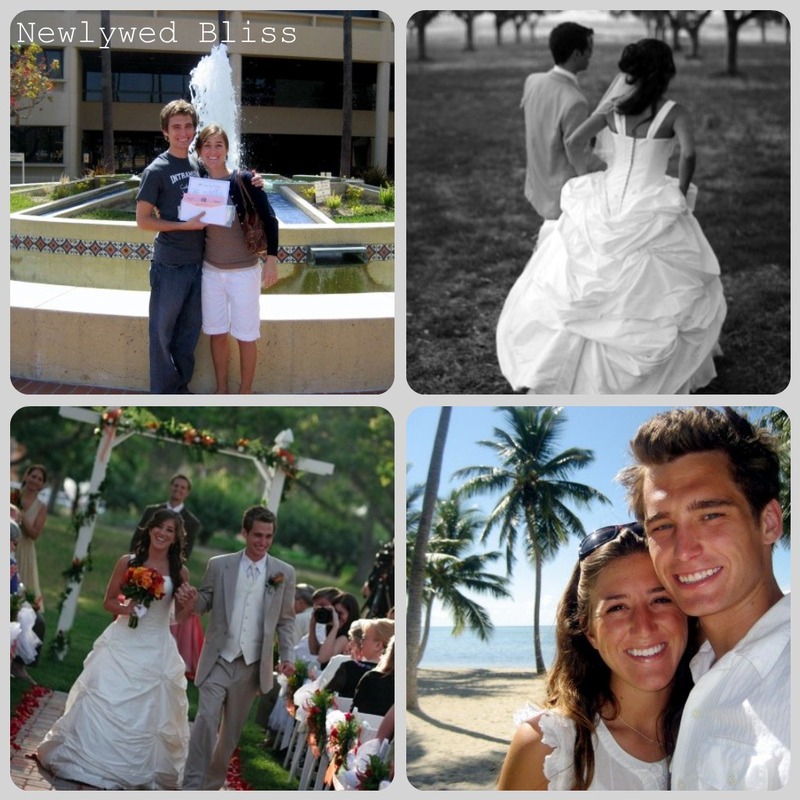 i love kirra sue's blog, so it was fun to read her love story... just precious! I will say it again God's plan finds You!!! Danielle....this is such a fun series. I enjoyed every single story! Kirra Sue - you are beautiful writer, beautiful story, and that picture with the guitar is AMAZING! oh they look so happy and in love. tender. All these love stories are amazinge! Seriously, they should all be compiled into a book and titled, "The Best Love Stories On Earth...Period." I just love this whole series! WHAT A WONDERFUL STORY! I love it. A lot. Your alls pics are presh! Eeeeeek! I'm swooning at your cute little love story! And I am completely fascinated that you went to canyon high and he went to masters college for a spell. i lived near there growing up and many people i knew/know went to canyon or masters. i worked at magic mountain in my high school year. small world kirra sue, you cute girl you! What a beautiful love story packed with grace and JoY! I love it! This series is fabulous and inspires me to get our love story down on paper.